Nike+ Web 2.0 & Platform 2.0 is Nike+ experienced on the Web. 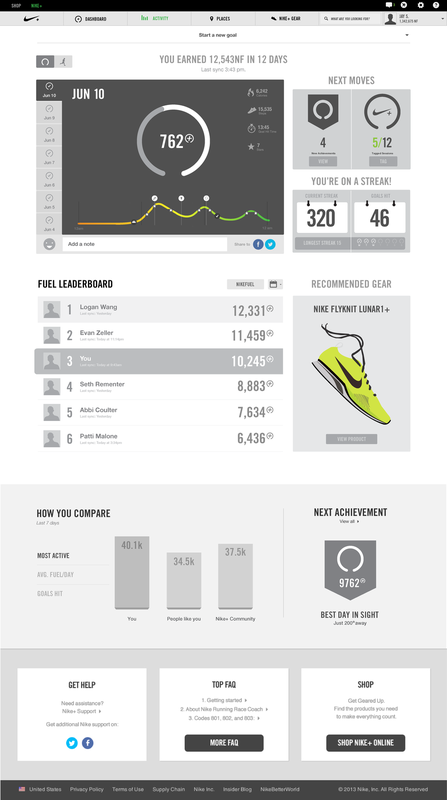 It's main objective was to be the destination and hub for all Nike+ activity - bringing together the Nike+ Fuelband, GPS Sportwatch, Nike+ GPS Running app into one coherent place. 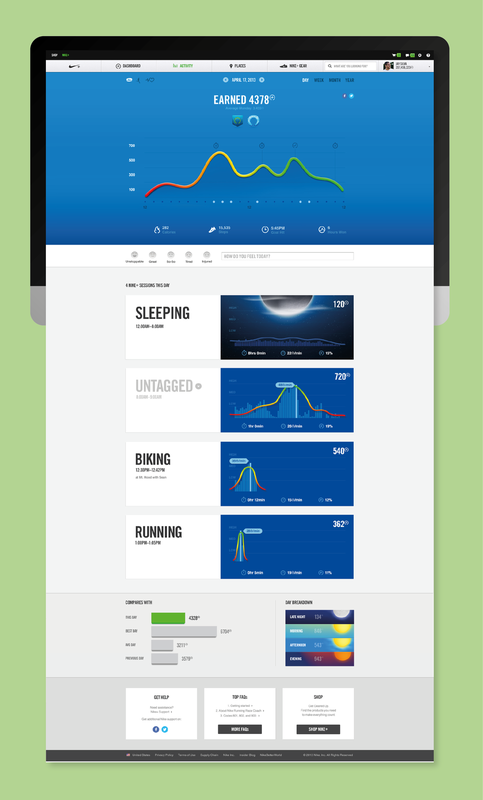 The core experience I worked on consisted iterations on the Dashboard, Profile and Activity. The Fuelband SE's primary feature was Sessions and Hours Won. Here we see what they look like on Web.